​The Belfast-based artist collective, Bbeyond, invited artists around the globe to take part in Same Difference: Equinox to Equinox on 22 September 2016, by making a group public performance in their own city, and recording it by video. Around 40 artist groups worldwide took part, comprising almost 300 artists. Neon Arts was pleased to help initiate a group open-air performance in Hexham, Northumberland, on 22 September 2016, between 18:00hrs and 19:00hrs at the bandstand in The Sele park. 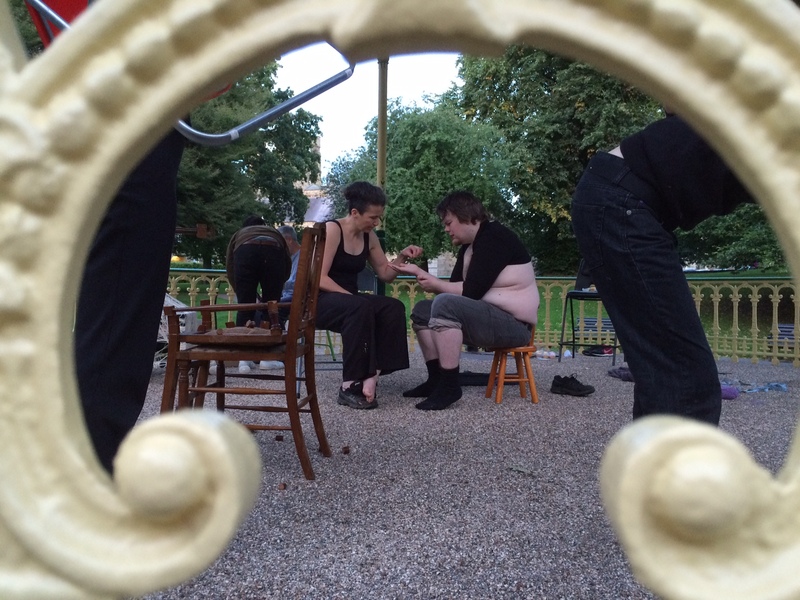 The artists each brought a chair to the bandstand, to use in their performance, the start being signalled by the six o'clock chime of the Abbey bells and ending with the seven o'clock chime.